Home » Commentary, Featured » Should recall legislation be tested in case of fired minister of state? Should recall legislation be tested in case of fired minister of state? Edmund “Clear the Land’’ Castro was fired for behavior inconsistent with that of a government minister. 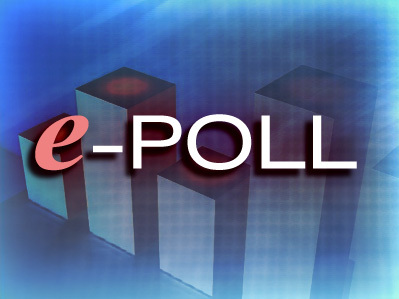 So tonight’s question is: Do you think that the new recall legislation should be tested the case of fired minister of state Edmund Castro? 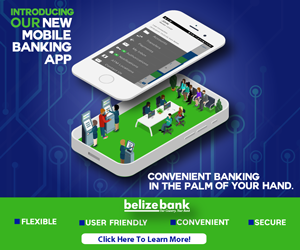 To take part in the conversation all you have to do is to email comments to questions@channel5belize.com, send a text using your SMART phones to 8686, or log on to our e-poll at www.channel5belize.com. Doing so will probably be ultra vires the legislation (i.e. illegal) because what we were told about the recall legislation was that it was focussed on non performing area representatives. Nothing was said about unscrupulous or corrupt area reps.”Non performance” is a totally different baby from “unscrupulous or corrupt. ” Unless we were not told about the legislation properly; the only way it can be used is if an Area rep fails to perform his duties for example, failing to steward the concerns of constituents when it comes to what they need in terms of infrastructure and development and the basic upkeep of the constituency. So I cannot see how the legislation could be used against Castro even if people feel that it should, and rightly so. Correct me if I am wrong. @rod I done know you wa seh something so read my comment first and correct me if I am wrong bcaz I know dat you regularly post comments. He needs to be prosecuted for fraud. Screw recall. If the story is true, he’s guilty of criminal fraud, which would mean he couldn’t serve in the legislature anyway. Yes it should and I think that this is one of the best chance so far to test this new legislation and the people of Belize should grasp the opportunity as it would send out a signal to all those in power representing the people to do the job that they were elected to do or face the wrath of the people. Instead of recalling Castro, we should be measuring Boots with the same measuring mechanism the PM used for Clear the Land and Rep. Coy. The recall legislation is for non-performing representatives as you have rightly stated Carlo. Castro violated code of conduct…….Marcos Canul is right…all reps should be spied on and investigated for wrong doing. If this legislation was intended solely for the purpose of recalling a representative on the basis of non performance then it truly lacks substance as there are many other reasons why a constituency would like to rid themselves of a representative. I am not sure if this was due to nearsightedness of the PM or a deliberate attempt to validate corruption within the GOB however, I would like to lean more towards his nearsightedness and would suggest that he have the necessary amendments performed on this piece of legislation to include all the wording necessary to facilitate the removal of a representative who have failed the citizens in up keeping the integrity and performance of his office. The recall legislation is written in a way that almost ensures it could never be effectively used to remove a elected representative. Applying the mechanism to Castro would only create the false appearance that due process is taking place. Once the recall effort fails Castro will be able to claim that he has been vindicated. Lindsay Howard, I agree with you. Are there laws on the books to ensure that he does not use the proceeds from his crime or Government resources to defend himself. After his conviction, can the Government liquidate his assets so that the people who were screwed over can be made whole?